The next Easter 2019 will be the 36th edition of the International Handball Tournament “Ciutat de Calella”. This tournament with so much history and years of antiquity will be organized by the Handball Club of Calella and in collaboration with us, Viajes Tauro, with an experience of more than 50 years in the sector. After many years participating and contributing with Handball Teams both national and international to the International Handball Tournament “City of Calella”, we can announce that from the 36th edition of the International Tournament “City of Calella” we will be the official organizers of the Tournament. The Calella Handball Club is one of the oldest clubs in Spain, since 1952. Currently and since 1990, Mr. Pere Bellavista i Guell is the oresident from the club. At present the Club has specialized in the organization of international tournaments. 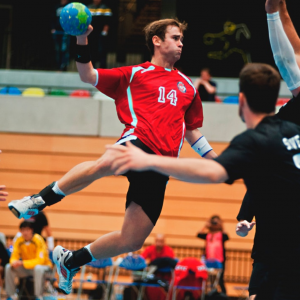 The initial idea of ​​holding an International Handball Tournament comes from the restless minds of Mr. Pere Bellavista and Mr. Horst Knörr, who, driven by a kind of personal commitment, ended up carrying that idea to completion. From the more or less innocent informality of that bet was quickly passed to the first conversations to begin to shape the one that soon became the first International Handball Tournament in Calella, called then: “Trofeu Costa del Maresme”. 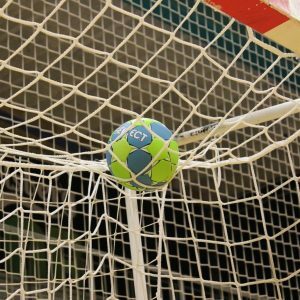 Four years later, the “Trofeu Costa del Maresme” of the months of May and June are small and decide to expand it with a second tournament: the International Handball Tournament “Ciutat de Calella” held in March and April. In all these years of International Tournaments we have had in Calella the best Handball and the best Clubs and Teams that exist in Europe. But there are also changes in the sports structures at the International level and although it is true that in recent years it has cost to have a good level of sporting performance, they have managed with the usual people, especially from Germany, to return to the best levels that this Tournament of the City of Calella and the CBC deserve. So we encourage everyone to participate or if not, to come and see and enjoy these fantastic teams. Or if you prefer, contact us directly by phone or via e-mail. In addition, you can be informed of the latest news and news about the tournament on the official tournament page on Facebook or Instagram.